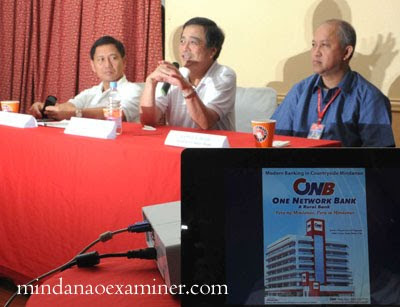 GENERAL SANTOS CITY, Philippines (Mindanao Examiner / May 5, 2011) – One Network Bank, the Philippines’ largest rural bank, continues to expand as it grew by P2 billion at the end of the first quarter of this year. At present, the bank is the country’s second biggest rural bank in terms of capital. By the end of next year, ONB’s capital is projected to match the P2.4 billion - the minimum capital required of Commercial Banks and by then, it may opt to convert to become a commercial bank. The continuous increase in capital started in April 2004 when ONB was consolidated involving 3 big rural banks in Mindanao - Rural Bank of Panabo, Network Rural Bank and Provident, and the Rural Bank of Cotabato. Alex Buenaventura, ONB President, said the bank will continue to serve even in the farthest part of Mindanao where no other banks operate. The Davao City-based ONB boasts of over P10 billion in assets with more than half a million depositors in the southern region. 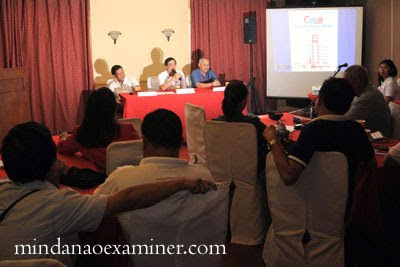 The bank also has two branches in Sarangani’s Malungon and Glan towns and Regina Antalan, Glan’s ONB branch manager, assured that their automated teller machines would be available for banking transactions 24 hours a day, especially during the province’s much awaited event the Sarangani Bay Festival on May 19-21.